OS Vehicle made in modern and superb design. 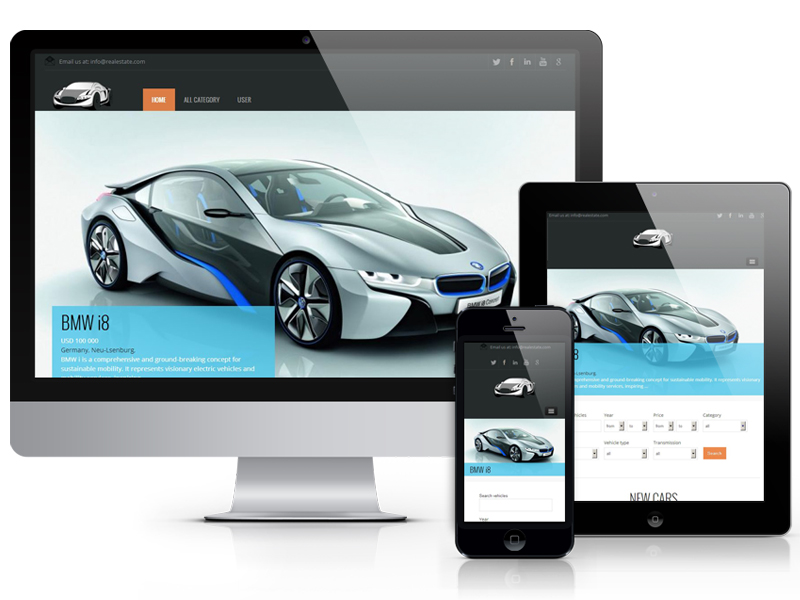 Free Joomla template OS Vehicle is fully responsive and looks great on every smartphone and tablet. In Quickstart package included Vehicle Manager Basic, template file, sample data and responsive slider with touch functions. Vehicle Manager Basic provides all necessary functionality for car listing website. With its help you can easily specify Location, Model, Mileage, Owner and many more attributes. Search module of Vehicle Manager Basic helps to find every car with advanced search parameters. See the demo version and download OS Vehicle freely.